As I sit and pen this entry I am into the sixth day of zero training. Not because I do not want to, but as the result of a virus which has dropped me like the proverbial sack of potatoes. This has been the catalyst for a myriad of chagrin for a multitude of reasons. Not being able to train, feeling terrible and hoping to race a duathlon in three days time are at the forefront of them. But it has not all been doom and gloom since my previous blog entry. The last six or seven weeks have certainly yielded more positives than negatives in terms of improvement. They have also been a productive few weeks for me getting opportunities to run or race in a competitive environment which is something that I do not get to do too often. 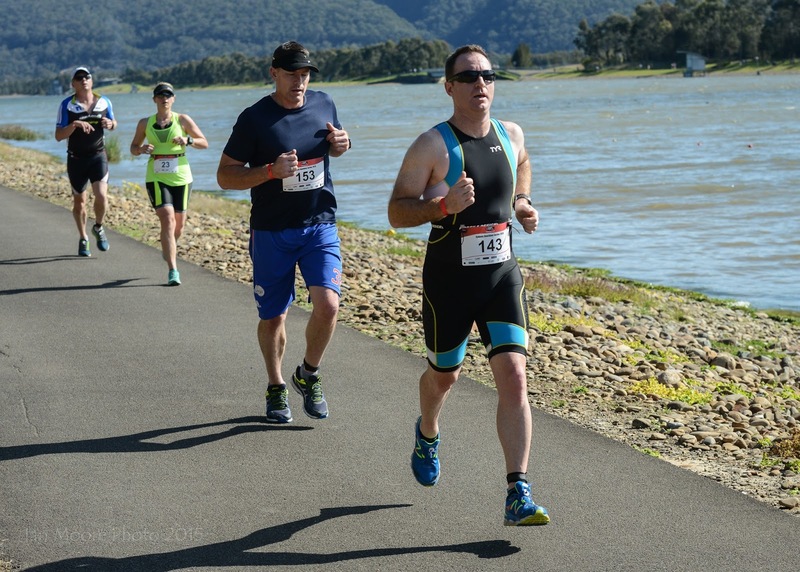 I returned to the west for the second leg of the Sydney Duathlon Series in Penrith which also doubled as the state titles. I was able to shave some time off in all three legs of the race. 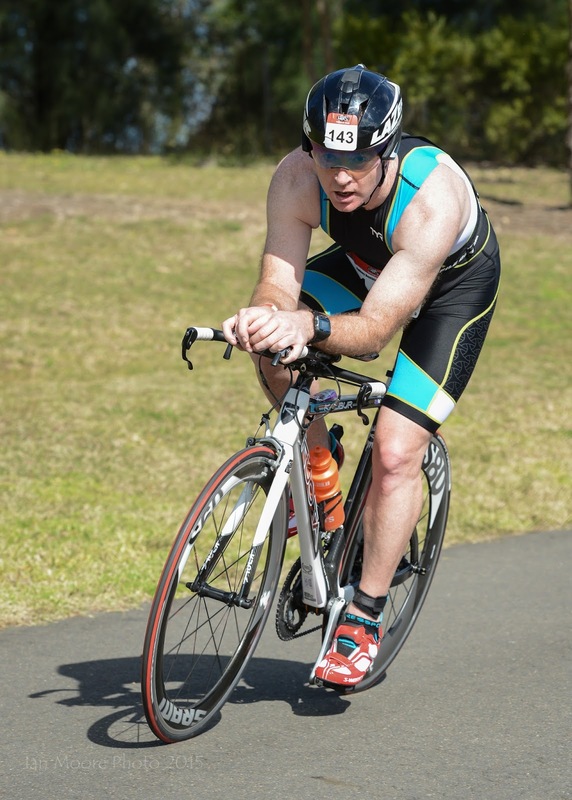 The conditions were a little tricky with a very strong westerly wind howling down the length of the elongated loop course, providing a difficult head wind for half of the run and half of every bike lap. The first 5km run leg saw an improvement of 26 seconds for me. Overall it was 22:26 which isn't too far off a 5km best for me. The ride was my biggest gain, despite a very slow (and embarrassing) get away due to a rubber band malfunction when mounting. If anything, I was pleased to deal with it calmly and forget it as soon as I was on my way. I shaved a bit over a minute off my last effort for the 20km on the same course. This is largely due to my upgrade to a TT bike but a strong positive given that I still have a lot of familiarisation and improvement to be made on the new rig. I was keen to push a bit harder on the final run this time and was pleased to complete it 27 seconds quicker than my first attempt. My overall time was 1:11:00 as opposed to 1:12:42 in race one of the series. Swinging for home on the final run. The weeks leading up to the duathlon had also allowed me to lower a few of my fastest running times. At my local Parkrun, I improved my 5km best twice with the latter gallop producing my first sub-22 effort (21:58) which was also the only time I have finished in the top ten at the event (8th). Just one day later, I took the opportunity to run in the Sutherland To Surf over 11km which was a good test given that I'd never run anything beyond 5km at race pace. 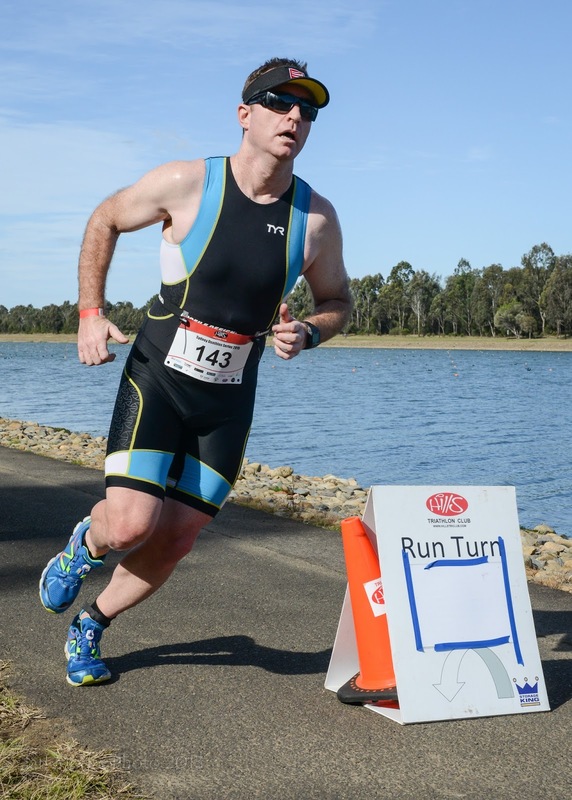 I registered 52:23 for the undulating road course which ended up being 11.2km, this included my best 10km time of 47:51. I was happy with that considering, just a month or two earlier, I'd set my sights on around 50 minutes for the 10km by October. On top of the running, I have been able to get a few miles in on the TT bike and in the pool and, with any luck, things will continue to head in the right direction.